Frances Houghton was the first British woman to be selected for 5 Olympic Games in rowing and the fifth in any sport for Great Britain. She started rowing aged 11 at school in Oxford and loved moving a boat down a river. 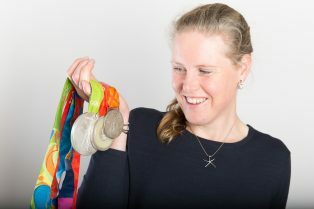 At 16 she set her sights on getting to Sydney 2000, fully expecting these to be her only Olympic Games but was so inspired by the experience, she vowed to compete in as many as she could. Frances never achieved her dream of becoming Olympic Champion, but won three Olympic silver medals, 4 World Championships, and held two world records before retiring at the age of 35. In Rio she was part of the first British Women’s 8 to win an Olympic medal. As an introvert that can’t run, jump or barely swim, Frances’s life was transformed through finding the sport that she loved. Though rowing she challenged herself to achieve things she never thought possible, making life-long friendships along the way. She says sport is the vehicle through which she discovered who she really is and experience those moments that stay with us forever. Frances was awarded an MBE in January 2019 for her services to British Rowing.